When you’re first getting into recording music at home, or even in aspirations of one day opening up your own studio, you’ll quickly learn that it’s not as easy as it seems to get great sounding results. It takes time, practice, and experimentation to get it right. You’ll always be striving to get better and better results. The problem, however, is that most beginners (and even experienced home musicians) tend to go with the first option available to them. Whether that’s simply throwing up a mic on a guitar cabinet and going with the first position they try or sticking with the same recording technique time after time failing to experiment further. Instead of realizing that more could be done in the recording stage, they think that problems or adjustments can just be fixed in the mixing stage. When that happens, you’re mixing to fix a problem that could have been adjusted for in the recording stage (maybe by choosing a different mic position) or trying to add in character that doesn’t exist (something that could have maybe been fixed by swapping out a mic or changing a guitar, etc.). When you take that approach, you (or your mixing engineer) will be mixing to correct problems rather than mixing to get everything to fit nicely. Recording really is the most important aspect to creating a great song (assuming the song itself was written well). If you can get it right in the recording stage, mixing will be so much easier and your songs will sound so much better. So with that said, I wanted to put together this epic list of recording tips to help us all get better results. For this article, I reached out to a bunch of different recording professionals to get their best tips for recording. 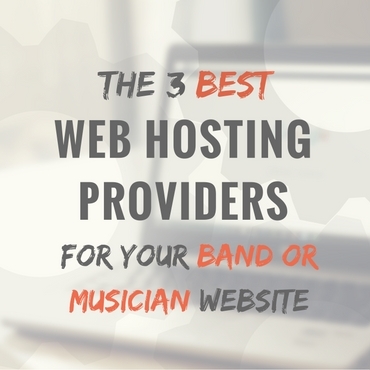 These experts range from home musicians, home recording bloggers, mixing and audio engineers, and more. The tips I got back were phenomenal and there is a ton of great information here. I want to thank everyone that contributed to this article and I hope you learn a lot from these good people. 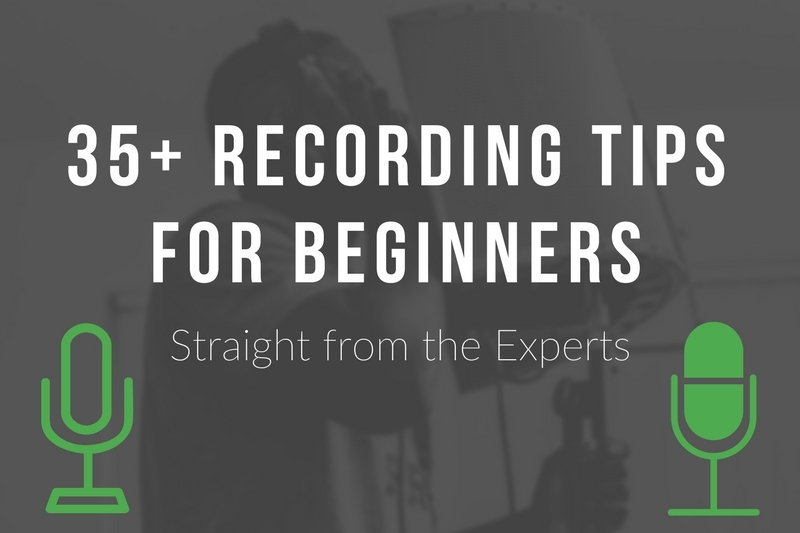 Finally, after reading through the list, be sure to let me know in the comments below what you thought and even list your own tips for recording. The best recording tip I can give is simply this — great mixes happen during the recording phase. So many people want to learn the latest mixing tip or buy the best-sounding channel strip plugin. The real “secret” to incredible sounding mixes is great recordings of great musicians. That will ALWAYS be true. Get the recording right, and you’ll discover you’re a much better mix engineer than you thought. 1. Gain staging is everything. With modern 24 and 32-bit recording, our DAWS can capture plenty of dynamic range with solid signal-to-noise ratio, there’s no need to turn the preamp on your interface up near clipping levels. Once a signal clips the preamp, the distortion will remain forever. A simple solution is to keep your preamp level slightly lower than what you think will be the loudest you perform, that way when you’re belting you’ve still got a clean signal. 2. Simple actions you can take to get a more professional recording: ensure your instrument is in recording condition. Replace drumheads and guitar strings, ensure the drums are tuned and re-tune the guitar before every take. 3. Got a poor sounding room? Try using a dynamic microphone as opposed to a condenser to track vocals. It will pick up much less of the room ambiance and give you a more dry, direction sound. 4. Even with a pop-screen on the mic, wind from plosives (“P” sounds) can quickly destroy a recording. To avoid this try slightly angling the microphone back a few degrees so the diagram isn’t directly in-line with your mouth. Additionally, practice singing “P” sounds whilst holding your hand a few inches away from your mouth. You’ll discover there’s a way to pronounce the plosive without feeling the breath hit your hand. Turn down the freaking music while recording vocals! Many people make the mistake of recording with the mic pre-amp way too loud which can lead to clipping. This is often times because they are fighting against the volume of the music track they are recording over which is too loud to begin with. The solution is to turn down the music in your DAW so that the music is peaking around -20 to -30db and then also turn down your pre-amp gain to where you’re vocals are peaking at around -20db. At this point, you will want to crank your headphone volume up quite a bit so that you can hear everything well. This leaves you with plenty of headroom during the mixing stage and you can rest assured knowing that you’re not overpowering your microphone or A/D converters while leaving yourself headroom to mix. This is called gain staging. Vocal mic placement is the first EQ move. Experiment with mic placement because this is your first eq move. The closer you are to the mic the more bass will be present in your voice and the more noticeable any movement away from the mic will be. Try to stand 6 inches to 1 foot away from the mic and record in the center of your room so that you are as far away from all walls as possible. Also if you’re using a condenser mic (which you likely are), make sure the back of the mic is facing towards anything that’s making unwanted noise such as a computer fan etc.. because the back of condenser mics cancel sound. And if you can, place anything behind you that will absorb sound waves such as a couch, bookshelf, mattress etc. Remember the mic is mainly picking up what’s in front of it which is you but that also means it can be picking up what’s behind you as well. Overall (and some folks have differing opinions here,) I tend to track with no effects whatsoever because I want my options wide-open when mixing… if I record with an effect, I’m stuck with it forever. When tracking multiple rhythm guitars, I make it a point of either using two different guitars (or at least different pickups) for each track. This thickens up the guitar mix a lot – (you can hear the difference if you listen in mono – more on that later). When tracking background vocals, the same rule applies… I typically do two runs at each harmony – changing my vocal tone slightly for each one… this thickens up the backing vocals, and makes it sound like more people are singing! I do everything in the box nowadays, using Studio One (which I love) – but one important thing to stay aware of is latency. No matter how good your system is, there can still be a bit of lag in an audio track… you might not notice it at first, but it compounds. So say you’ve recorded a guitar to a click track. And then you record a bass along with that guitar track. Now if the guitar track lagged slightly, then the bass track naturally lagged because you were playing along with an already-lagged audio track to begin with. Take the time to zoom way into your audio track, and see where the notes are hitting. Sometimes just dragging a track back a few milliseconds makes all the difference, and can totally clean up a song that’s sounding sloppy. Lastly… don’t look too hard for perfection when tracking. You can do a killer lead vocal that has a few flaws but is full of life. Re-record it 27 times, and you may have something technically perfect, but emotionally dead. Your recording chain is only as strong as your weakest link. There’s no point spending big in one particular area if it’s let down in another – for example a popular fascination in online chatter is “upgrading converters” but that really doesn’t mean much if your microphone doesn’t sound great in the first place – you’ll only capture a more detailed version of a flawed sound. It all starts at the source. Which means the recording space and the instrument (assuming the player is competent! ), before you even consider the capture chain. Remove as many sources of noise as possible (laptop fans, noisy fridges, minimize outside interference). Whilst it’s possible to remove some of this post-recording, it’s much better not to capture it at all. Aim to minimize amp hum (noiseless single-coil pickups and having guitar electrics worked on by an expert can help enormously). Critically assess your recording space. Listen on headphones to better focus, and try recording in different areas to see what works best for what. A little bit of balanced room tone is often better than a space that’s dead at some frequencies but boomy in others. What might be considered a “good space” for mixing isn’t necessarily a great recording area – acoustic instruments need a bit of room interaction to sound at their best. Don’t default to the approach that any issues can be dealt with later – be that in performance or in tone. It’s MUCH better to get it right initially if possible. At the same time, if it’s an issue you KNOW you can deal with (e.g. a snare tone that rings at one frequency but can easily be notched out with an EQ in mixing), don’t be afraid to just roll with it. 24bit recording (and there’s absolutely NO reason to record at anything else) is designed to allow you to leave a lot of headroom when tracking. There is no need to record hot anymore; those who advise “use all available bits” are either still thinking in terms of analogue noise floors or 16bit capture, or they simply don’t appreciate that leaving 6dB headroom above the loudest peak still means that the analogue noise floor of any well-designed converter is still well above quantization noise. Put more simply, don’t ever worry about recording too quiet; aim to have your loudest peaks still have 6-12dB headroom and that your steady signals are around -24 to -14 dBFS, but don’t focus too much – providing things aren’t clipping they can always be turned up or down digitally afterwards to optimise gain structure in the DAW. Doing this will mean your analogue front end will be operating in its optimum range (rather than straining to produce enough gain) and you’ll be free to worry about performing or capturing a performance. Record Anytime You Have A Chance & Keep All Your Takes. What you record is uniquely yours, no matter how good or bad it sounds. In fact, with the many available, affordable audio gears we have in store today, coupled with an abundance of great sounding plugins, it’s possible to sculpt any recording to something usable for a music piece. Then invest in a fat hard disk drive to store your recordings and make sure to label them nicely. Over the years, there have been so many nuances where I found myself digging up old recordings/samples to use in commercial music pieces. There was once I recorded a Sitar player. A ‘Sitar’ is an Indian stringed instrument that looks like a guitar. And if you’re not familiar, Indian music is based on themes or pattern of notes called ‘Ragas,’ quite similar to scales or modes that we are familiar with in Western music. On top of that, Indian music scales consists of microtones, which makes instruments like the Sitar very hard to replicate using VST instruments & your MIDI controller. Anyway, we recorded quite a bit of ‘Ragas’ or themes. And mind you, we recorded everything using a single Rode NT1-A condenser microphone plugged into a simple M-Audio Fast Track audio interface in a hotel. Admittedly, the recording wasn’t as polished as you would with $1000 microphones in a full-facility recording studio. But here’s the thing. Those recordings became uniquely mine. And whenever I needed the Sitars in my music, I could pull out those old sample recordings, put some effects on them and use it in my music pieces. The best part of it? I had Sam, the Sitar player on my fingertips. So essentially, it was not just any Sitar sample, but the expression of Sam, my dear friend, on the Sitar. So record whenever you have a chance. Met a musician who plays something unique? Record them, keep your recordings and label them nicely. I promise you’ll find your recordings to be gems & life-savers in your future music projects. After all, the more recordings you do, the more you experience mic placements and eventually get better & better at it. Focus on skills, not gear. You don’t need a great room, expensive equipment and a ton of premium plugins to produce great music at home and grow a raving fanbase. With microphones, less is more! You get all kind of weird phase cancellations when you use more than one microphone on the same sound source. If mics are not properly phase aligned, they cancel each other out and the sound gets thin, nasal and nasty. In most cases there is no need to use two, three or four mics on a guitar cabinet or any other instrument. Instead just use one mic and listen carefully. If you don’t like the sound of the mic just move it around until you find the sweet spot or turn the EQ knob of the guitar amp. On a drum kit I often only use 3 mikes. One for kick and two for overheads. To phase align the overhead mics I make sure that both mics have the same distance to the center of the snare. You can use a string or a mic cable to measuring the distance. When miking an acoustic instrument, spend some time moving around the instrument and just listening to it being played. Sometimes the best sounding place for the mic is somewhere that doesn’t “look right”. If you’re engineer and performer, this is obviously more challenging but by just placing the mic where it looks right, or not exploring a couple mic position options, you’re really missing out. The closer you are to the instrument, the more critical mic position becomes. Past a few feet 1 inch up/down, left/right, forward/back makes very little difference in the sound. Spend most of your time moving that microphone to find the perfect spot. It’s definitely better than spending x10 your time trying to fix it later, only to go back to tracking again. Once you’ve added some basic acoustic treatment to your room, test out 2 or even 3 mic positions on anything you record. Record a small take at each mic position and then compare the 2-3 takes and pick the best one. It still may not be perfect, BUT at least you know you’re closer to a better recording than just settling on the 1st position. Sometimes the 1st mic position ends up being the best one of the 3, but at least you know and have peace of mind. Get the recording to sound good on the front end during tracking and your mix will come together so much easier. With cardioid, hypercardioid and supercardioid microphone polar patterns, there is what’s known as the proximity effect. This means that the closer a source is to the mic, the more bass frequencies are picked up due to harder pressure on the diaphragm. Or the opposite is true where the further the microphone is from the source, the less bass frequencies are recorded. Try experimenting by moving the microphone closer and further from the source. Some sound engineers use this as a way to exaggerate the effect to get a bigger sound like on a kick drum for example, or to get a larger vocal sound. One of the things I find when I’m sent stuff to mix from people who are recording at home would be the use of cheap condenser mics for vocals, you know the type that look like U87s or whatever. To my ears they always end up sounding quite harsh and brittle in the upper middle and top, I often find my self having to spend a lot of time working on the hard constants and S sounds. I think maybe home recordists would do better with a really good dynamic mic for vocals such as a SM7B or a MD421. Personally, I find it much easier to EQ some presence into those types of mics than work on removing the harshness from low – mid price large diagram condensers. When recording vocals, keep a few inches of space between the mic and the pop filter, as well as the singer and the pop filter. If the pop filter is touching the mic or the singer, it won’t do its job (and you’ll end up with a boomy, muddy vocal track). Warm up. Taking the time to warm up your voice can be the difference between a good performance and a great one. While it’s true that there are a lot of tools nowadays that can improve a sub-par vocal recording when you come to mix, you’ll save yourself a ton of time and hassle by capturing the best raw performance possible. Go in dry. It can be tempting to color your vocals with reverb and other effects while recording your performance, but you should always record your vocals completely ‘dry’ (no effects added). Recording a ‘dry’ signal will open up your options when you come to mix your vocal track later on. If you commit an effect to the track while recording you’re stuck with it and can’t tweak it later. Record more than you need. You aren’t going to have time to analyze each ‘take’ captured while you’re recording, so record and save several takes of your performance (even if you think you’ve captured your ‘ace’ take). This will allow you to pick and choose specific phrases and sections from all of them to create the perfect composite performance. I always recommend producers and artists to put the greatest amount of focus on recording vocals as it’s the most important part of a song. I can’t tell you how many times I get a song in to mix that has over 60 instrumental tracks that’s then by followed by just 3 or 4 vocal tracks. Getting a vocal performance right when recording is crucial. It’s like the motor of a car. Without it, it’s just not going to run properly. If the vocal performance has tuning issues and autotune can’t fix the problem, then the performance probably isn’t good enough in the first place and you should re-record it till you get it right. Don’t expect to fix things in the mix because sometimes those things can’t be fixed. Try harmonies. Up a 3rd. Down an octave. Doubling and tripling the vocals. Whisper vocals. All these subtle things can add depth and character to your song that can take it to the next level and give it the energy that it needs. Experiment and most importantly have fun with it. It’s only when you try new techniques out that you can improve your craft. If you need some additional help recording vocals, check out my vocal recording course where I show you step-by-step how to record vocals at home and get great sounding results even in a bad sounding room. Here’s a story from a recent punk rock recording session we did. The guitar player plays a single-coil Stratocaster that has a very distinct, slightly wiry sound. To get more depth to the guitar sound, we double-tracked the rhythm guitar parts with an Epiphone Semi-Hollow Body. You could argue that the sound of the semi-hollow body is almost the opposite of the single-coil Stratocaster. But together they complemented each other well. Because of the different ways these two guitars react to distortion we used two different amp settings for each one. I have a versatile Vox Valvetronix amp that can give you a smorgasbord of sounds, so we spent some time getting the amp settings just right. What we ended up with was a fairly distorted and dark sounding amp setting for the Epiphone, which suited the guitar perfectly, and a crunchy overdrive for the Stratocaster. The chunky overdrive flattered the Stratocaster sound nicely, thickened up the single-coil sound and seemed more like a punch in the face than a wall of noise. The trick there was to keep the gain of the overdrive on the safe side. Too much overdrive and you’ll end up with a mushy mess that sounds unclear and distorted. The additional distortion from the Epiphone took care of adding enough distortion and gain to make the song sound like a punch song, and when you put the two guitars together, they sounded much bigger than the sum of their parts. When recording guitars, setup and tuning is paramount to getting a good guitar take just as much as the performance itself. Have your guitar professionally setup and intonated. Tune, retune, and then tune again before your take. Also, fresh strings are a must and are probably the most overlooked thing in the recording process. Mic pointed at 12th fret, 12 inches away. Mic pointed at 12th fret 6 inches away. 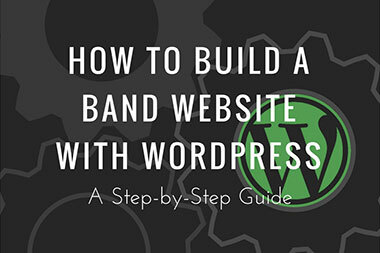 Need some extra click on a metal band’s kick drum? Tape a quarter (decent) or a half dollar (better) to where the kick hits the drum head. Super click! Take the shittiest drum mic you have and throw it somewhere. Maybe on the ground next to the kick drum and underneath the snare…maybe 4 feet in front of the kick drum…wherever you want. Distort this mic (after checking the phase, of course!) and sneak it back in underneath your drum sound. If you don’t overdo it, this can really help fill in your overall drum sound. I would say for the home recordist to take care not to have unwanted room sound on vocal tracks. This may not be apparent with the raw vocal recording, but once more aggressive compression and EQ are applied for mixing, the room sound can really start to be revealed. Carpet, drapes, furniture are all helpful in absorbing reflections. Also, uneven surfaces like a book shelf can diffuse reflections. In some situations, it may be necessary to build a three sided vocal “tent” using blankets or sleeping bags. Making things too dead is not ideal because the sibilance and brightness in the vocals may start to disappear, but that is usually more correctable in mixing than the sound of the hardwood floor and walls embedded in the vocal recording. Diffusing reflection is helpful in maintaining brightness and eliminating unwanted room sound. Try building your vocal tent where one surface within the tent is a book shelf. This will help keep it bright and at the same time reduce reflections. It is a good idea to check the vocals with some pretty strong compression on playback to see if the room sound is objectionable. A tiny bit is ok, but you don’t want to be locked into the acoustic color of your living room. Ultimately striking a balance between deadness and keeping the sound crisp and clear, while reducing objectionable room sound is the trick. When recording and mixing, the first rule is to keep it fun and enjoy yourself. That is why we all got into to this is to have a good time a create something cool. I know most of us take our music and craft very seriously and a degree of seriousness is important if you want to take your recording and productions to the next level but don’t let that get in the way of enjoying yourself and also the people you are working with enjoying themselves. The best art and music comes naturally when you are not overanalyzing things or following set rules or guidelines. Phantom Power: When should you use it and how to you avoid damaging a mic? Phantom power is just 48 volts of DC that goes down the mic cable to power condenser microphones (Small and Large Diaphragm) and powered/active ribbons. Phantom power does two things for condenser microphones. It biases the capsule so that when sound waves push against the capsule it creates a variation in signal flow. Kind of like stepping on a garden hose so the flow changes. This is how it converts the signal from acoustic energy to electrical energy. Phantom power also powers a small amp inside the microphone that converts the signal pressure (Impedance) and amplitude. This is why condenser microphones are so much louder than a sm57 for example. There is a small amplifier inside the microphone, and this is powered by that 48 volts coming down the mic cable. Dynamic mics don’t get hurt by this power, but sometimes if your cabling is bad, or there are any grounding issues, then some singers report getting a small shock from a sm58. Again, it doesn’t hurt a dynamic mic, because the circuitry is designed to not see this power. Condensers can see it, but dynamic mics can’t, therefore the name “Phantom Power” came to be. When using your condenser microphones, always connect the microphone with the phantom power off. Then turn on the phantom power. When you are done with that microphone, turn the phantom power off, and wait a full 60 seconds before disconnecting the microphone. If you are using an interface that turns on phantom power for all the mic inputs at once, then you need to turn off all the power for all the mics, each time you want to unplug something. This is why having individual phantom power switches for each mic input is a great feature, but it’s not required. Ribbon microphones don’t need phantom power to operate, and in fact, you should avoid applying phantom power to ribbons at all cost. If it happens, then it’s not too big of a deal as long as the cables used are in good shape, but it does, however, cause the ribbon move from the electric current. Let your sections fade out! It doesn’t matter if you’re going between a verse and a chorus or if it’s just the last hit of a song. If you’re the drummer, the bass player, the piano player, or the guitar player, if you hit that last note, let that thing ring all the way until the end. If you’re the engineer with your finger on that stop button, do no stop the recording as the instrument is fading out. This is why you have bad fades at the end of your songs because you’re not letting your instruments ring out. This also goes for in between sections. So say you’re playing a clean guitar part in the verse but then you want it to switch to a distorted part in the chorus, it’s a very common thing to record them separately as individual tracks separately but when you hit the last chord of the verse, let it ring out! If you’re not doing that, that’s probably why you’re sections sound choppy when they go from verse to chorus. If it stops too early, that’s going to sound unnatural because that’s not what you would in a normal song, you would continue playing. But, to get those sections to blend together properly, you have to make sure you let that last hit ring out. It’s a real, super simple thing to do but an unbelievably common thing I see is those bad fades. The tip I’d give for artists recording is to use good studio monitor headphones when recording so that they can correctly hear themselves as well as the playback. In addition, they should listen to music using those headphones so that their ears “learn” how to use those headphones so that when they go to record their brain will have a reference point of what sounds good and what doesn’t. Again, I want to thank everyone that contributed to this article to create this awesome list of recording tips. I hope you enjoyed it and found them all useful. Be sure to let me know what you thought in the comments below and even list your own tips. Finally, if you want to get updates on future content like this, be sure to sign up to the Infamous Musician newsletter to get email updates. I hope to create a similar article for mixing tips in the near future, so be on the lookout for that. I just want to say thanks for all the music family for showing your support for us newbies trying to figure out the best settings and techniques for great recordings. The more support we get, and the faster we learn and apply. The more time we could focus on music innovation for the future. Cannot emphasize this enough. Everyone’s process is different, of course, but trying to write in the studio seems like such a waste of time. Better (for me) to live with the song a while; then, on the rare occasions when I do get the chance to record, I can work with lightning speed. I’ve been singing since I was 2 years old, traveling around area churches.. that being said, I am completely new at actually recording myself. Churches and my father did it for me. Now, I am taking it to the next level. I want my own studio, so I can practice, learn more about how to work on my very own.. Music and singing is my hugest passion in life. And, I can’t wait to get started on this new journey. sometimes it is best to leave the mixing alone, step away for an hour, a day or even a week. You’ll get fresh ears. One of the most common mistake when recording is the mix. The music is to loud and the vocals are washed out. The vocals should stand above the music. Remove all background noise before recording! Resist the urge to get up close to the microphone when doing lead vocals too often! Mostly stacking a second take with a deeper voice/up close to the mic works even better. This is especially true for rap vocals and choruses of almost any genre. Rather than focusing time and energy on obtaining the best gear, spend your resources learning how to use what you have. The same principles apply for most gear. Also when it’s time to upgrade, consider treating your recording space. It will make a huge difference! Get the source as high in quality as possible. That includes the sound of the room and the performance! Right now i am more of a vocalist than an instrumentalist. I’m currently learning how to play the keyboard and make beat. Tuning your instruments, ensuring your song is in the proper key, and setting the correct tempo is all key. Don’t overdo it with gain/distortion and watch for clipping. Overdub your guitar tracks to beef things up. PLAY TO A METRONOME! 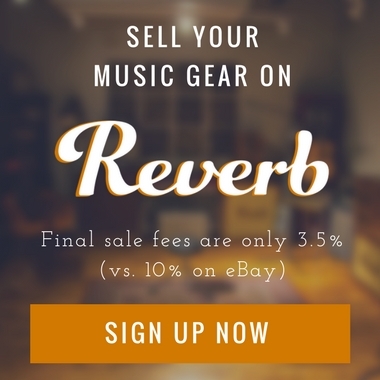 Rent out some quality instruments, or buy some. The difference between an elite stratocaster and a Squier is a lot more audible on a decent recording than a live show. Gear is fun but literally anything can sound great these days, don’t get hung up on not having certain gear or even certain quality gear – you have access to everything you need. Make music that sounds good to you. You can spend thousands on software or guitar amps or microphones and by the time it comes to mix, you’ve processed them so much that you could have used something else. Not always, but enough to make gear a very low priority. Best Tip? Keep your ears fresh and take plenty of breaks when things get dry! And Don’t be afraid to get anyone and EVERYONE’s opinion! Listen to your song from different speakers, headphones, monitors and parts of the room! Perspective is the key to great music! I love using a mic under the snare pointing at where the beater hits the kick drum head. I like to crank the gain on the mic pre to get some nastiness to it. Compress it going in too if you can. Finally, one it’s recorded, flip the phase on that mic to see which way sounds better in context with the whole kit. As a voice over actor I have set up several templates for various types of recording, ie narration, commercial, deep bass, bright, with the settings of my noise gate, compressor and eq. After recording I normalize and edit…..and it’s a finished product. I am continuing to adjust the template settings as mic placement changes, room panels are shifted or my notepad is moved, all can change the response of the space and I’m always looking for the best product to present. If you’re working with a singer who seems to be consistently flat in their upper range, try suggesting they land “on top of the note” instead of reaching from underneath. Upper registers tend to be intimidating, especiallu in a recording situation, so tons of singers will appreciate the simple tip! If seeking to use another mic to get more depth but are concerned about phase cancellation, try using a PZM boundary mic attached to a steel shelf. It will always be in phase with your primary mic and I have achieved excellent results using both through a stereo compressor for vocals, guitars and drums. Use a wood shelf for a softer, less crispy response. when playing guitar, tap your foot ! In my experience, if you are a lame musician, you shouldn’t be recording so musical talent and genius is way more important than anything else. So, I suggest, once you are a talented to genius level musician to go for simplicity in recording. Don’t rely too much on effects and gimmicks. Let your true light shine. Also, if you are a lamesauce musician, don’t expect effects to raise your level. You have a ceiling and it is low. All the best, Tom. No matter what anyone tells you, no matter how much you get made fun of, do what you feel is the best thing that you can possibly do, to make your mix come to life. There are no rules. If it sounds good, it is good! A great recording tip is use good grade cables not cheap ones !